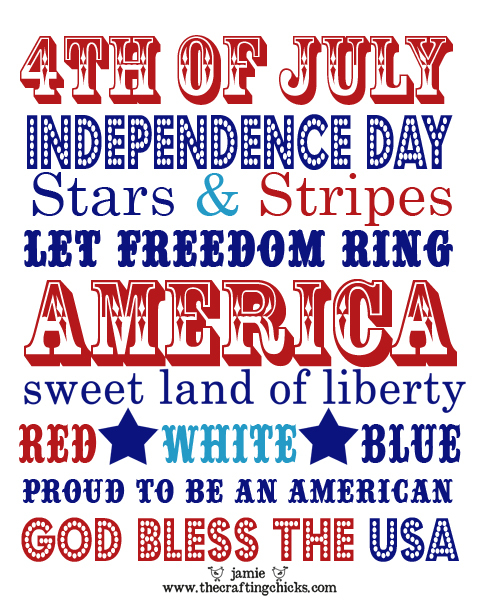 I love these two paintings depicting the good ol' red, white and blue. 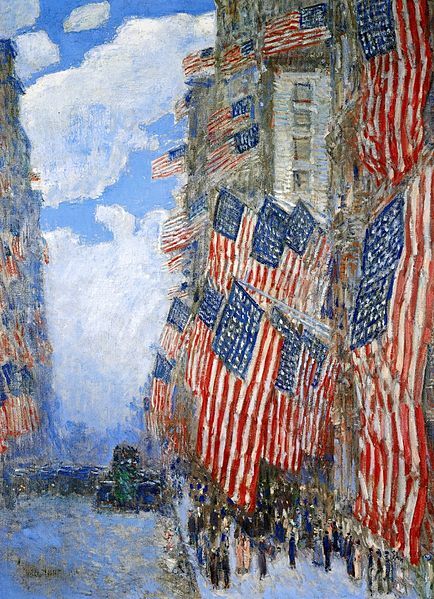 I've long been a fan of Childe Hassam and his use of color and his soft, fluid brush stroke. 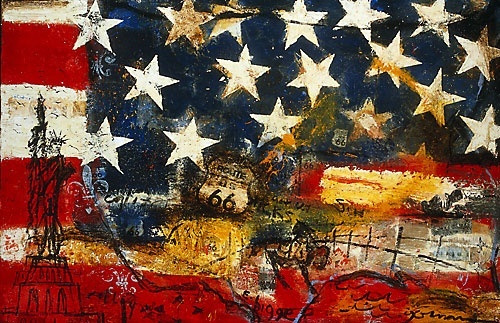 In contrast, Michael Gorman's modern take on the flag is very Americana and bold. And since I'm a typography junkie, here's a great print from Jaimie at thecraftingchicks.com. She offers this as a free printable download for personal use only.